It’s been a busy summer at Resco and we aren’t slowing down! We have exciting product updates and company news to share. If you have a question you would like to submit in advance for the Q&A session please email paula.kuehl@resco.net. As always, our priorities include, actively working with our partners to drive business and creating strategic initiatives. 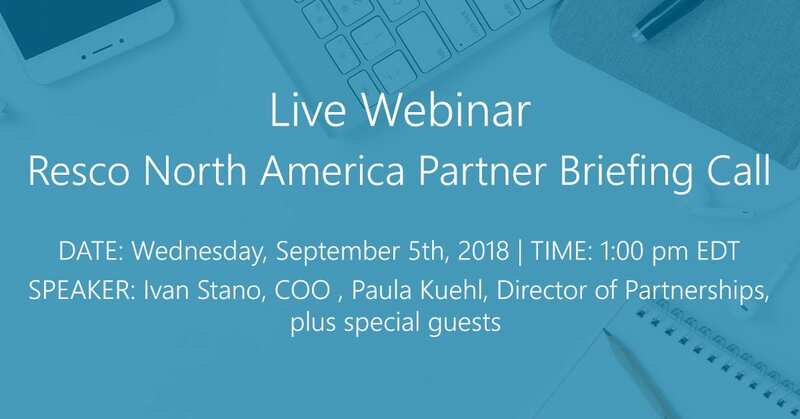 Join Ivan Stano, COO at Resco, and Paula Kuehl, Director Partnerships at Resco to learn more about how Resco provides the ultimate tool for mobile businesses & processes.